I was trying to think of a way to mesh a blog post about fireworks together with the topic of famous people living with mental illness. You see, it’s Victoria Day here in Canada and many people celebrate by setting off fireworks during the long weekend. So, how’s this for a connection? Apparently Russell Brand lives with bipolar disorder (formally called manic depression). 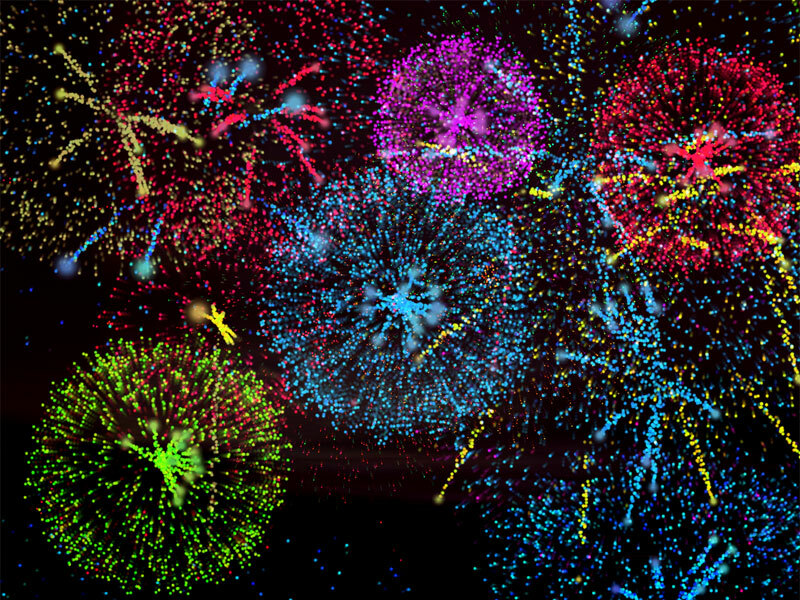 Brand is married to Katy Perry who sings the extremely catchy tune, “Firework.” A creative segue is now made. Apparently, Robert Munsch (author), Linda Hamilton (actress) and Edvard Munch (painter) also have/had bipolar disorder or depression.There’s also a huge number of well-known people who are said to be affected by Attention Deficit Hyperactivity Disorder, too. Here’s a short list: Jim Carrey, Cameron Diaz, Bill Cosby, Avril Lavigne, Magic Johnson, and Paris Hilton. It makes sense of course: There’s a long standing connection between mental illness, intelligence and creativity. Some say that one must suffer for one’s art. What do you think? Do you think that all brilliant artists “suffer” from some form of mental illness? Do you feel that passion is born from pain? This entry was posted in Facts, Music, Philosophy, Social and tagged about, adults, art, artists, creativity, emotions, feelings, mental health, philosophy. Bookmark the permalink. Thanks so much for your comment, Tia. That’s exactly what I was going for so I’m glad it left you thinking. I generally see a connection, but I don’t think it’s necessary. And some who are mentally ill suffer so severely they couldn’t create at all. But I do see a connection. There are studies that suggest this. But, no, I do not believe we have to suffer for our artistic expression. I do think that some who suffer may be more introspective than others, and that can lead to creative thought and action. I find this question fascinating. Kay Jamison, a psychiatrist, researcher, and a person who has also been diagnosed with bipolar has really neat research associated with this; her research actually suggests that for some artists with bipolar (e..g Van Gogh), their creative works really increase during manic episodes (and they can tap their creativity at that time),and then during their depressive episodes the amount of work they produce drops. I’ve often wondered, then, what would happen if there was a magic pill to cure everyone with bipolar disorders, perhaps before they are born. Would this mean that we would lose people like Van Gogh? What would Van Gogh? If you ever read his letters to his brother Theo he writes how would rather die than live the way he does. I personally am glad we have Van Gogh’s and people whose mental illness may spark creativity, but is it worth the cost to them? I don’t think anyone’s research suggests that all artists have mental illness, nor are all forms of mental illness linked to art or creativity (but who knows, perhaps someday in the future). @Jackie and @Susan – Thanks for your thoughtful replies. I don’t want to glamorize mental illness but, at the same time, it’s interesting to find useful, positive connections between something so many people fear and ingenious works of art. As a creatively-driven moody person, I’ll weigh in. If creative productivity is driven by passion as opposed to complacency or even contentment, it makes sense that people already predisposed to wild mood swings might have a more direct line to the instinctual human need to create. I like to believe my own sanity is (fairly) intact, but there’s definitely a self-serving, arguably illogical force at play when I choose to spend hours drawing rather than tending to chores or more financially lucrative tasks. Those suffering from certain mental illnesses might find it even more natural to delay or ignore outside obligations in favor of satisfying inner needs. I think passion derives from strong emotion in general. You could feel passionate about something — a gorgeous view or a beloved friend — in a positive way, and that could inspire art. By definition, seriously depressed people are not very productive. But you could also produce art with a therapeutic or cathartic intent, recognizing the process as a light in the dark and a means of exorcising or voicing the pain that led you there in the first place. Some artists have very successfully melded their creative personas into mainstream society; others exist on the fringes at all times. There’s just so much amazing variety. Susan K posed another thoughtful question about the cost. I’d love to know Van Gogh’s answer, especially considering that he died largely unappreciated and in poverty. My own level of instability/creative output is much, MUCH lower, but I wouldn’t exchange the wild ride. Maybe it’s a matter of degree. You’re right Bobbie, or shall I call you Creatively-Driven Moody Person from now on? I’m also moody and creative and I really feel that most artistic/creative people have a certain temperament. That’s not to say we all have some form of mental illness but, if I dig deeper and do more research I’m sure I’ll find a strong correlation between depression and art.